Sea Ranch is, hands down, the freshest fish with the utmost care. The food is simple and great. The service is worthy of its own mention: when a delivery order has special instructions, they call and they get it right. They're also respectful of delivery instructions! They don't add unreasonable up-charges when special orders come through. No hidden costs, no confusion. 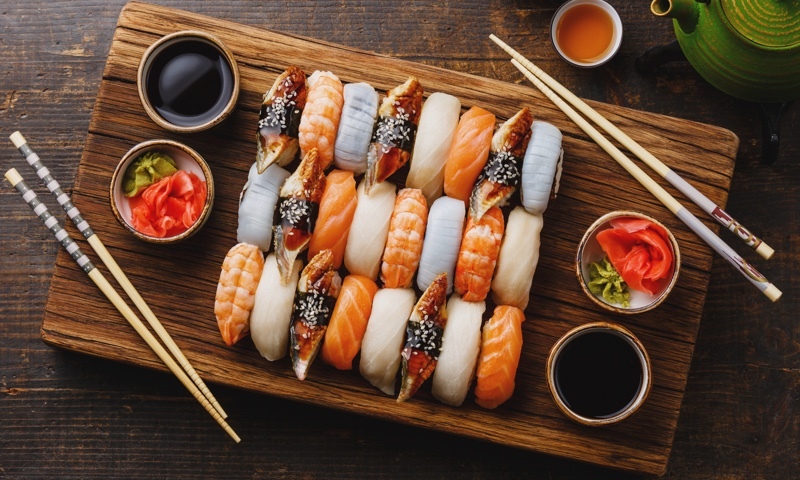 In person they're equally gracious, and after your meal, you can purchase sushi-grade ingredients to take home to make your own. I'd order from Sea Ranch before others in a heartbeat, even if delivery took longer. AMAZING.. SIMPLY AMAZING. For someone who can't eat spicy rolls, being able to order plain rolls and add individual things to it (like avocado, crunchy tempura bits, cucumber, etc) is awesome. The food is super inexpensive and really delicious, and my food came 45 minutes early! There was not a single bad thing I can say about this place. 11/10 will order again! Sea ranch always does a great job with delivery and carry out orders because they pack everything up in such a secure and neat way. The udon and broth are separate, which thoughtfully keeps the noodles from getting soggy, and you can serve yourself without losing any of the quality of the food. The chirashi tasted very fresh and the rice was perfect. This is one of the best sushi joints in Evanston. I usually order delivery because seating is very limited. If there was more seating I would eat in because the location also has a store. The food is always good. The sushi from this restaurant is SO GOOD! Very fresh and full of flavor. The fish is generously rolled into each maki. This is my new favorite place to order from in northern Chicago! The Sea Ranch is a much beloved Evanston institution for many reasons. Not only does this sushi and Thai restaurant serve both types of those cuisines, but there's also a Japanese grocery store on the premises. Many customers say that this is the best sushi in Evanston. Whether you're craving a quick bite or looking to treat yourself to a delicious meal, you can now order your Sea Ranch (Evanston) favorites for takeout or delivery.